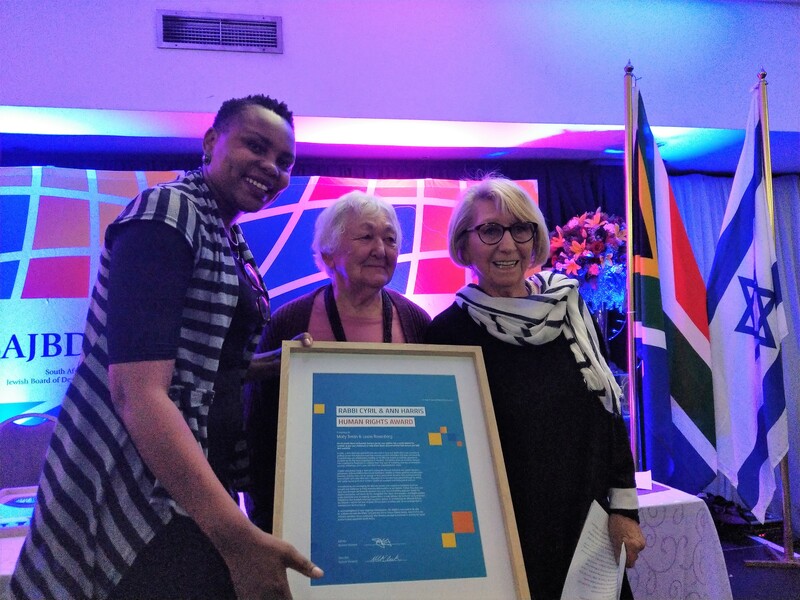 THE Mitzvah school was started in 1986 at the height of the apartheid-era State of Emergency, as a crisis class providing a year of tuition to matric students from Alexandra Township. At that time, the country was in turmoil. The student slogan was “Liberation before Education”. There were, however, students who felt that being involved in politics was not helping them shape a future for themselves and who wanted to complete their schooling. With assistance from various companies and individuals, including the management and rabbi of the Bet David congregation in Sandton, the school opened with 25 students, some of whom, unbeknown to us, had been political prisoners. Molly Smith was the principal at that time. Together with Lesley Rosenberg, current principal the decision was made that the School should continue until the crisis in education had passed. The school started as an illegal school and the learners were registered at Alexandra High. After two years the school became a registered school and examination centre. When the learners in the township had “stay-aways” or the teachers were on strike, the school was not affected. The school was able to forge ahead and assist young people to pass their matric in beautiful and carefree surroundings taught by dedicated, well-qualified and experienced teachers. We have consistently produced a pass rate of over 90%. By comparison, the national average is just over 50%, and some of the schools from which our students come have pass rates as low as 12%. Many years we have a achieved 100% pass rate, a remarkable achievement, as our students are with us for only one year. Many of the past students revisit the school to assist us with various aspects of the school. 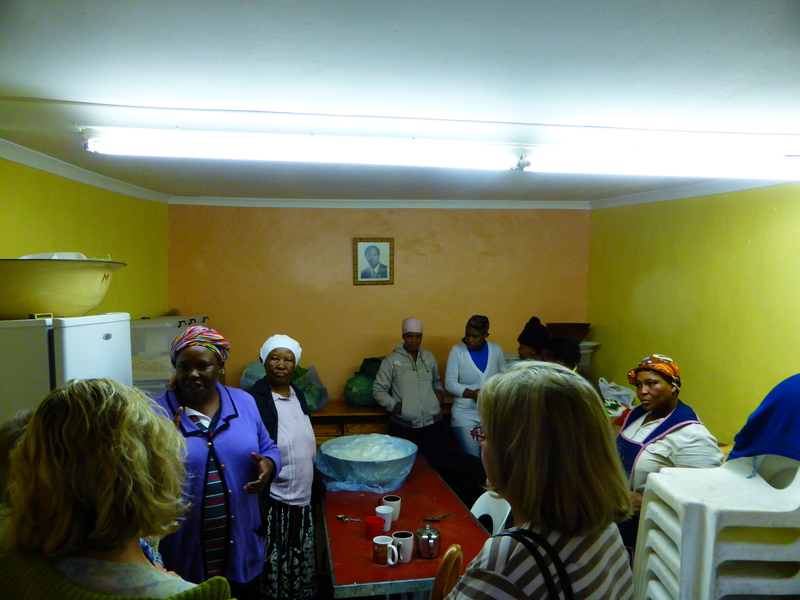 , a past student, initiated a feeding scheme in Alexandra. Nonhlanhla Sithole has graduated as a medical doctor. Nonhlanhla came from an extremely deprived background, and with the assistance of the community and the Mitzvah School he is now able to go back in to his community and “give back”. He has subsequently graduated as a Specialist Radiologist. We are assisted by the Bet David Kehillah (Sisterhood) to help students who require food and clothing. Certain sponsors provide bursaries and we have set up a small bursary fund ourselves to help past students with tertiary education. Students pay a nominal monthly amount for school fees and transport. The amount they pay does not cover the monthly cost per learner(some of the learners are unable to pay at all) and the shortfall has to be covered by our own fund-raising efforts. We no longer receive a government subsidy as we have only one class and are considered an elite school. We have been extremely fortunate to receive funding from the business sector. Without the sponsorship of Zenprop Property Holdings we would not be able to continue running the school. In 2017 we received funding from Investec having lost one of our long standing donors due to change of ownership of that company. We are often able to find sponsorship for students who are unable to pay their school fees and these sponsors take an interest in their progress at school and sometimes even into tertiary education. We have had a long and happy realtionship with Afrika Tikkun and for many years they have sponsored the uniforms for the school. 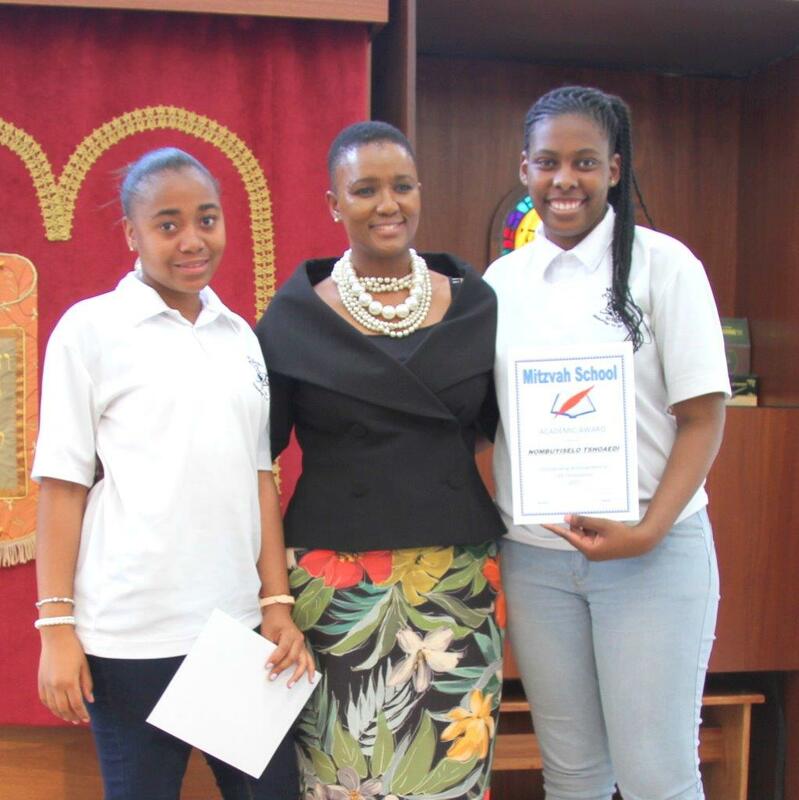 More than 1 200 students have passed matric at Mitzvah School, and we are proud to have been involved in their lives. Many of them have graduated, some work in the banking and retail sector, to name a few, and many study part-time to achieve their goals. 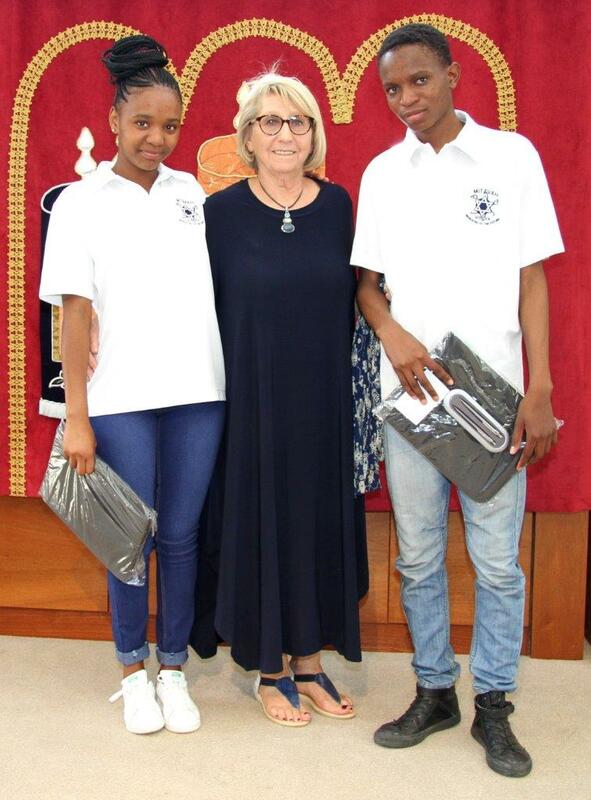 A number of past learners visit the school regularly and speak to the learners to encourage them use their opportunity at Mitzvah School to improve their marks and obtain good matric results. We have a feeding scheme in Eighth Avenue, Alexandra, providing breakfast and lunch daily for about 200 school children as well as indigent adults in the area. The students of Mitzvah School assist to collect food monthly. This we do by standing outside supermarkets and asking the shoppers to assist with our feeding schemes. The community is extremely generous, and we are able to feed these people and send food parcels to child-headed families. The ‘kitchen’ in Eighth Avenue is the former home of a Mitzvah graduate and her family and consists of only one room at the end of an alley of Eighth Avenue. Our income is mainly spent on teacher salaries to ensure that we retain our staff, most of whom having been with us for many years. We spend as little as possible on upgrading equipment but from time to time have huge expenditure buying text books. We are delighted to have moved into our new premises at Bet David, but there is a great deal that we need to replace having made do with the built in cupboards in the old house, for example. If you can help the Mitzvah School in any way, please call +27 11 883 7177 or email the school at mitzvah@telkomsa.com . We have a PBO number and are BBEE certified that we can give donors. Source: Based on an article written by Darryl Egnal for the Shofar Magazine in 2006.